"The Dentist That Actually Talks To You." Essential dental is a warm environment in a beautiful house with state of the art dental practices and procedures performed. All procedures are done in house with minimal referrals. Our friendly office manager Shilpa greets all of our patients and helps to create a comfortable and family like environment. We offer all aspects of dentistry including restorative, periodontics, endodontics, and surgery with emphasis on cosmetic and orthodontic procedures. 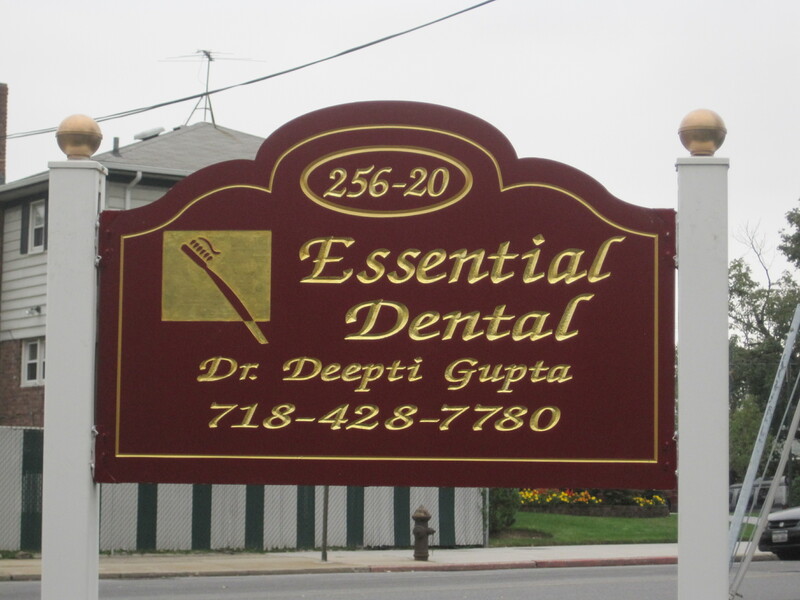 Dr. Deepti Gupta is the sole practitioner in the practice and liked by her patients. She has attended Cornell University for her undergraduate studies and New York University for Dental School. She completed her residency at Lutheran Medical Center. Dr. Gupta keeps up to date with all dental procedures and provides a comprehensive treatment plan addressing all patient concerns and options available. She is warm, friendly and has a great sense of humor. Patients report feeling very comfortable with her and that she really listens to them and takes her time with them. She also offers free cosmetic consultations and second opinions. This is a practice worth checking out. Click to take a look at our specials.